Worldwide Auctioneers is calling this “the most historically significant automobile ever offered for public sale.” And they aren’t likely wrong. Yes, this is the touring limousine ordered by and built for Adolf Hitler. And while that may be an unpopular association to have with any item, let’s keep in mind that this is a piece of history – and one of the finest examples of pre-WWII automotive engineering extant. The 770 was an extremely rare and expensive car when new. Introduced in 1930, it was built through 1943. In that span of time, only 205 examples left the factory in two different series. This is a Series II car, the series which was available beginning in 1938 and only 88 were built. The 770K is powered by a 7.7-liter straight-eight engine fitted with a supercharger that, once engaged, produced 230 horsepower. 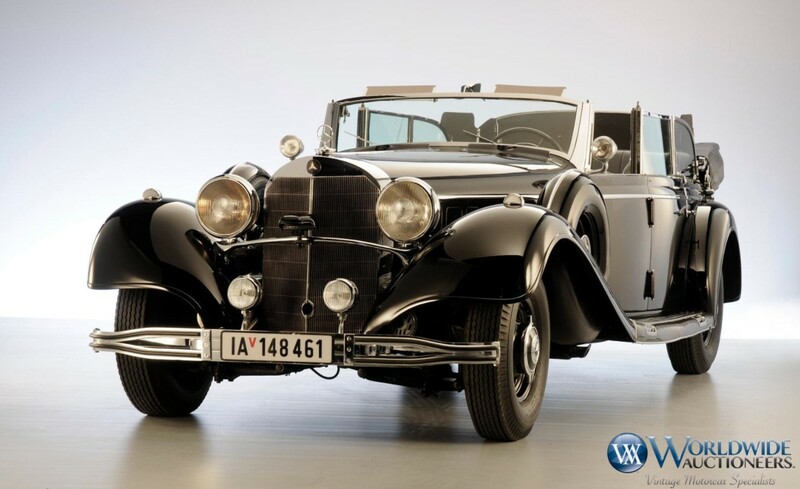 Capable of speeds of 100 mph or more, the 770K was Germany’s answer to big American cars from Packard, Marmon, Cadillac, and Duesenberg as well as some of Europe’s finest from Hispano-Suiza, Bugatti, Horch, Maybach, and Isotta Fraschini. It was the best Mercedes had to offer. This car sports an Open Tourer body by in-house coachbuilder Sindelfingen. It has bullet-resistant glass and the body is armor-plated. There’s seating for six (at least) and it was used by Hitler in various parades around Europe during the war. In 1943 it was sent back to Mercedes for maintenance and it saw little use after that. The car was taken by the American military and was used by the military police in France. Because the car was so magnificent, several service members tried to export it back to the U.S. A Belgian owner succeeded in getting it to the U.S. in 1946 to its new owner in North Carolina. That owner donated it to the local VFW and they used it in parades, too. It was discovered in storage in 1976, purchased, and restored. It was thought at that time to have been Himmler’s car, but research indicated that it was one of Hitler’s four cars. In the 1980s it became part of the Imperial Palace Collection in Las Vegas and, no doubt, became a tourist draw. In 2004 it found its way back into Europe as part of a massive Mercedes-Benz collection. Only five 770K Offener Tourenwagens still exist and this is one of three in private hands. Add to it the infamy of its original owner and you have what I consider to be the first car truly worthy of the “Estimate Available Upon Request” tag so often seen with big money cars. It’s a real question what it will sell for. 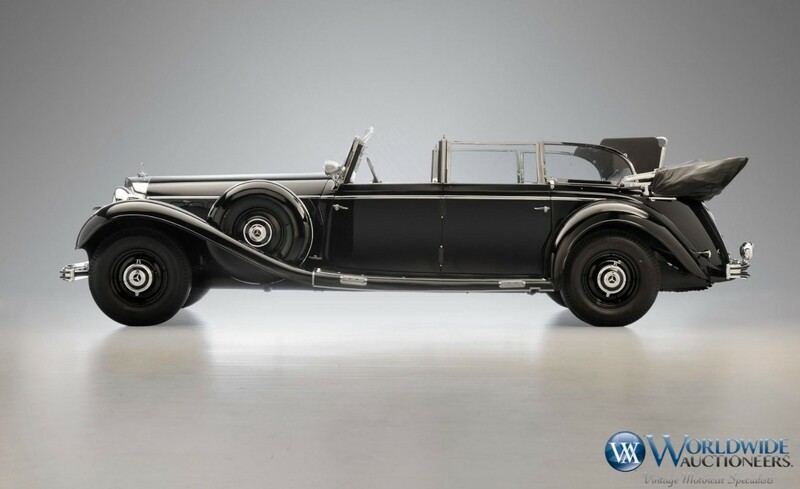 As a piece of automotive magnificance and as an historical artifact, its price could be monumental. But will its close association with Hitler and Nazi Germany hold it back? There’s only one way to find out: head to Worldwide’s sale in Scottsdale next month. Click here for more info and here for more from this sale. Update: Not sold, high bid of $7,000,000. The car you see here (quite possibly for the first time) is an East German race car that was built by Georg Werkmeister. East Germany really isn’t known for their automobiles (other than say, the Trabant), but there were a number of pop up race car builders in the 1950s that came from the far side of the wall. Like most of these cars, they were based on the pre-war BMW 328. So the engine here is a 328-donated 2.0-liter straight-four making about 135 horsepower. 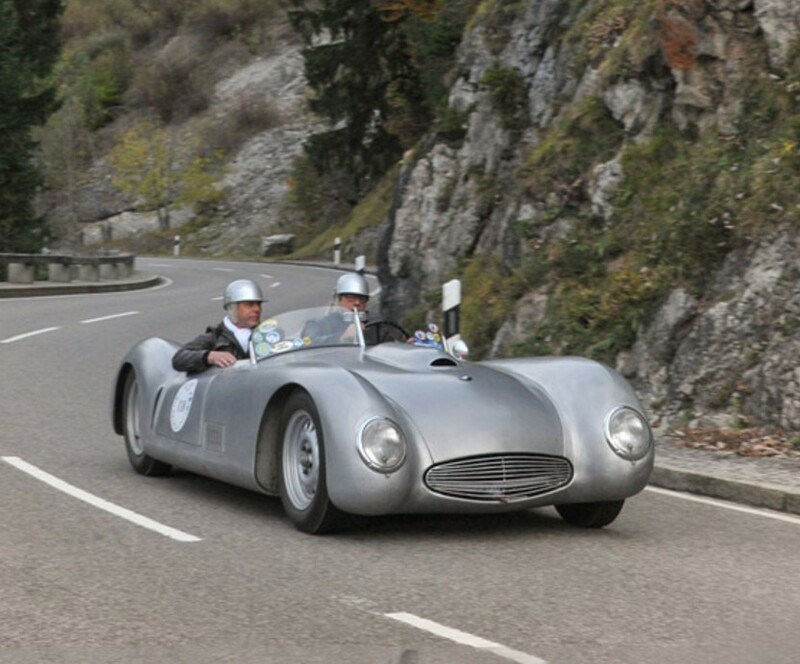 The low, streamlined body was designed by an ex-Auto Union aerodynamicist. It was raced, semi-successfully, in 1952 and 1953. But in ’53, Werkmeister left for West Germany and his car was seized by the East German government. It continued to race into 1954 before suffering some engine damage. Over the following decades, the car was used as a road car under the care of many owners. It was expertly restored in 2004 and is ready for historic races and tours. Click here for more info and here for more from Coys.